Business Blog Ideas…What the heck do I write about? Blogging is a great way to build up some relevant, optimized, current content on your website. There are tons of useful marketing features inherent in a good blog: lead conversion, search engine optimization, lead nurturing, lead segementation, and just plain old production of interesting stuff. What happens when you run out of things to write about? Where do you go for ideas? What subjects can you fall back on to fill in the creative gaps? You’re probably over complicating things. Really. 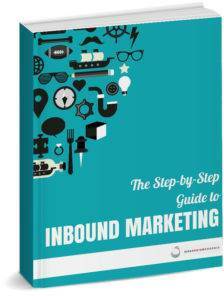 Most blogs are published for the Attraction phase of the inbound marketing process. You’re trying to capture the attention of internet “passers by”. They’re not so laser focused on intricate details at this point. In fact, they probably found your blog in the first place through search engine optimization or social media. They’re not far enough down the learning path to get into much depth. So don’t. Back when you started blogging, you were probably told to begin with the 10 or 20 most commonly asked questions that you hear from prospective customers. This is a great place to search for new material. Maybe you rolled out a new offering and you’ve got a new batch of queries that need some answering. If you wrote about frequent questions before, go ahead and look them over and maybe you can write an update or revision. The questions that your customers are asking you the most are also the questions they are asking the internet the most. Using these keywords and employing the language that they’re used to hearing is going to get you found. Make it a point to aways write about the questions people are asking. What’s the industry up to? We’re always looking to provide helpful information. Think of the prospect’s perspective. What do they really want to know about? Everyone can use an occasional quick brush up on happenings in their industry. Take a look at your buyer personas and think about the industries they are in. Research some current events and put them into your own words. Keep them short and easily digestible. Everyone likes a good laugh…and there’s quite a lot of value in making people laugh. Maybe it’s time to show the world that you have a fun personality. Shoot for publishing something that your subscribers will share. Good old fashioned humor is great for breaking up the monotony. Maybe it’s a video or funny photo to compliment a quick tip. It sounds counter intuitive, but showing people that you’re not perfect instills a sense of modesty and legitimacy. You can always spin it positively of course, but letting people know that you aren’t perfect, and that you’re williing to disclose your shortcomings is a valuable human (and writing) trait. Down the line, when you actually want to shed some advice, it’ll come with greater acceptance. Remember that phys ed teacher in junior high who always ripped on everyone for being out of shape? I bet that time when he complimented your dodgeball skills really meant something. Take a look at what your competitors are writing about. Is there something on their pages that has attracted a ton of attention? Of course you can look at your own analytics in the same way, but your competitor websites are a great place to find writing fodder. Chance are, whatever they’ve posted can be improved on with some better visual aids or stronger data points. Sometimes you’re just lost for words. Ask an expert some questions or have someone comment about their area of expertise. Record the responses or write it down and publish as an “interview”. Maybe you walk over to the graphic designer’s office and ask her about the new Photoshop software upgrade or the 3 quick tips for developing a great logo. People will talk if you give them a chance. https://www.webdesign-phoenix.com/wp-content/uploads/2017/09/business-blog-ideas.jpg 700 1500 Casey Bourque https://www.webdesign-phoenix.com/wp-content/uploads/2016/09/web-design-phoenix-2.gif Casey Bourque2017-04-14 19:31:432018-09-27 11:47:17Business Blog Ideas...What the heck do I write about?